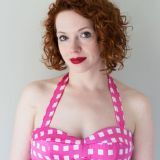 ​Today we are going to discuss tips for getting started on your sewing journey. On the back of the pattern envelope you will see a chart that has size measurements (these are your body measurements), as well as one that has finished measurements. After taking your own full bust measurement, compare that to the size measurement to see where you fall. The Flatiron has a very loose silhouette and includes a lot of design ease. Design ease is the extra fullness added to a garment to create the silhouette. To calculate design ease, take the finished measurement and subtract your actual bust measurement. You may want less design ease and choose to make one size smaller. If you prefer even more ease, you can make a larger size. Looking at the finished measurements and calculating design ease can really help you understand how a garment is going to fit you. Once your pattern pieces are cut, mark all your notches and dots immediately. I start by snipping into my notches, as opposed to cutting triangles that protrude out. If you are using the overlapping seam method, some markings may be located on seam allowances that will be trimmed off for the overlapping seams. To mark these notches, use a disappearing marking pen to make a perpendicular line from the notch extending through the new seam line. This way, when you trim your seam allowance, your notch marking is still visible. ​A technique that we use in many of our patterns, including in the Flatiron construction, is the use of pressing templates. Start by making your own template using a manila file folder or tagboard of similar weight. For the Flatiron pocket hem, you will cut one template in the following size: 1½" wide by 11½" long. To press the hem, place the template on the wrong side of the Pocket top. Press the hem up and over the tagboard strip. matching the raw edge of the fabric to the top of the template. Press through all the layers. You will also be using a Pocket Pressing Template, which is included in the pattern pieces. For the coat, it is pattern piece #6, the jacket pocket is pattern piece #11. Use the template pattern piece to cut one tagboard template. We will use the template to press the seam allowances all around the pocket. Now that we have our materials gathered, cut and marked, it is time to start constructing the garment! 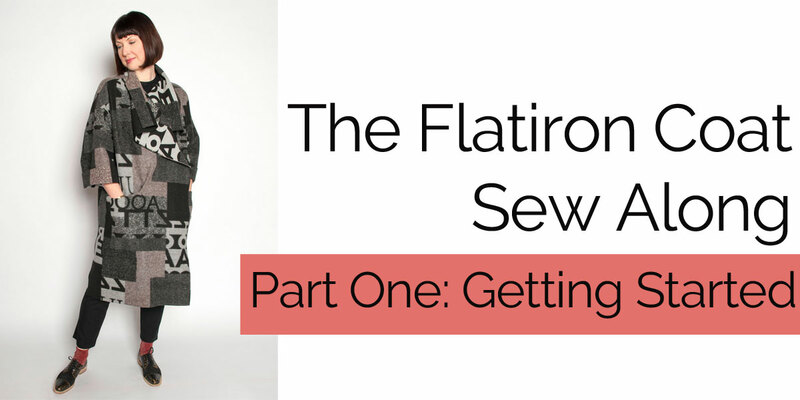 Join us for the Flatiron Sew Along Part Two where we create and affix the pockets to the coat.